450 lb (204 kg) bead capacity. Flexibility for those needing only 1-color or striping contractors who are growing into 2-color applications where it’s easy to switch between yellow and white stripes with a twist of a lever. 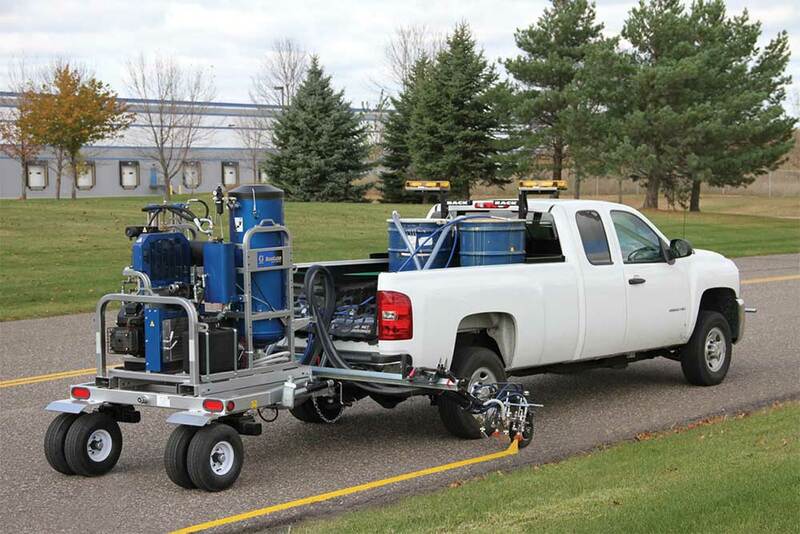 No-stall design provides the reliability you can only get from Graco. Graco pumps have delivered excellent results in pumping striping paint for over 20 years. Gun arm beam is located closer to the rear vehicle axle, assuring a more normal striping ow. Air-assisted paint and bead guns offer excellent starts and stops. The finger-adjustable bead deflector allows you to set the bead pattern to the exact width needed for the job (optional). 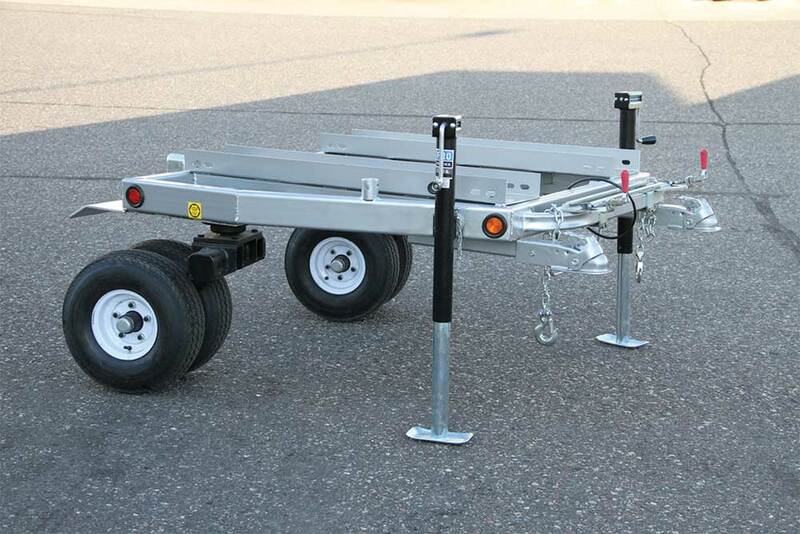 Patented design makes the hitches part of the striping vehicle, tracking with the truck, not behind it, delivering straighter lines and smooth transitions into curves. Four wheels create a smoother ride and protection from flats. Provides forward viewing for checking alignment while restriping or following control marks.